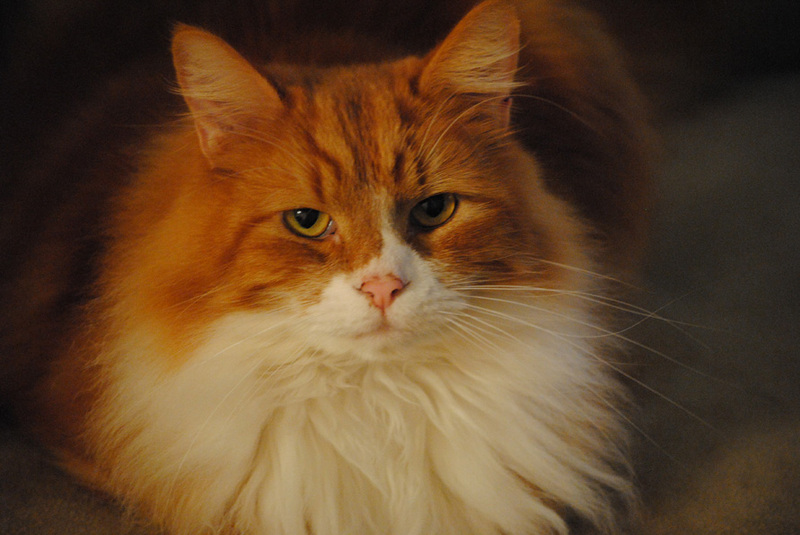 Oliver meows like he’s going to visit an executioner when I have to take him to the vet… or to the groomer. But every single vet or groomer visit, they tell me what a well behaved cat he is for them. Once his vet called him her best behaved patient all day. The office vet tech tells me “We love him here.” What’s puzzling about that is he is NOT as well behaved at home. Nope. Recently I had to give him a pill a day for a month. I lived with scratches on my hands and forearms for a month straight. Try to trim his claws? He cries and fights and acts like I’m trying to torture him. So why, exactly, is he so well behaved for others? At his last vet visit, his vet and I discussed that. My theory is that it’s similar to the concept that toddlers will act up for mom and dad more so than for other people caring for them because mom and dad are “safe.” (I know that’s a huge generalization, but let’s just go with it…) They can act up and know that mom and dad will still love them. Could he know I offer him safety and he can act up with me and I’ll still love him? Or am I giving a cat far too much credit? Hard to know for sure, of course, but his vet thought I might be onto something. 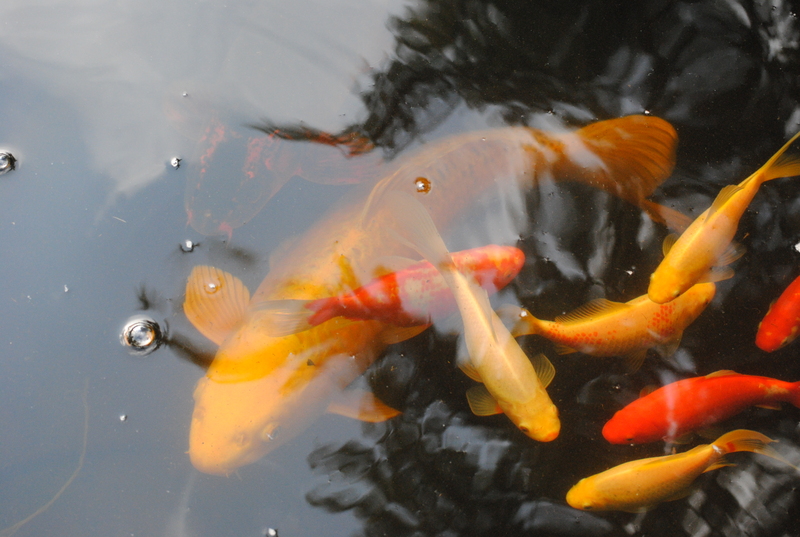 A shot of mom’s fish pond I took a few weeks ago… Can’t believe how big the koi are getting! She’s had them for several years now and takes great care of them. To join in the fun of Camera Critters just click here! This is my sweet Oliver boy doing what he does best… sneaking a nap on my bed. :) He seems to think it’s as comfortable as I do. There are several (and I do mean SEVERAL) wild turkeys in my back yard… and neighborhood. They don’t seem to be scared of anything. The other day I was out walking and came across this trio of turkeys meandering across the street. I had to laugh and grab a few shots of them. Enjoy! To see other Camera Critters entries or play along yourself, click Camera Critters. This handsome boy is Oliver. I adopted him a few months ago. He was rescued as a very tiny kitten by a nice family who had several other critters in the house. He apparently never did learn to get along with the other cats in the household, so his humans thought it better for all the cats involved for him to come to a home where he’s the only cat. He’s a sweet boy and I love him. But he definitely exhibits typical cat behavior. One minute he’s cuddling and purring on my lap and the next he’s racing around the house like a mad man for no apparent reason. You know, typical cat stuff. To see other Camera Critters entries or to join in the fun, visit here. A few days ago I happened to glance out my sliding glass door that looks out over my patio and the yard. I saw these deer munching on their late afternoon snack and grabbed my camera. Cute little critters, aren’t they?